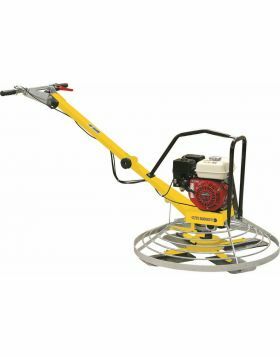 The concrete power trowel PT 600 is perfect for finishing small surfaces, concrete along edge sections and around pillars. The folding center pole makes transporting easy and the guide handle reduces vibrations, thus allowing comfortable working. The inclination of the blades is mechanical. 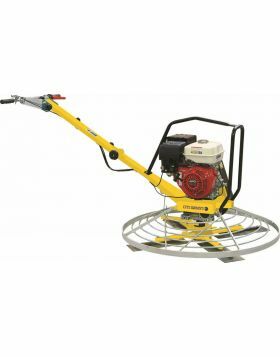 This walk-behind trowel is available both with petrol engines and in the electrical version for use in closed environments.